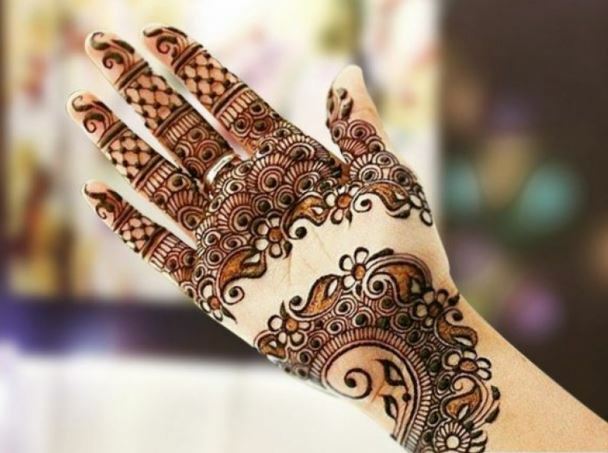 Get inspired by this season’s floral bloom and apply beautiful floral mehendi designs for weddings! Love is in full bloom this month. Spring is around the corner. Little buds are peeping out, awake now from the winter slumber. 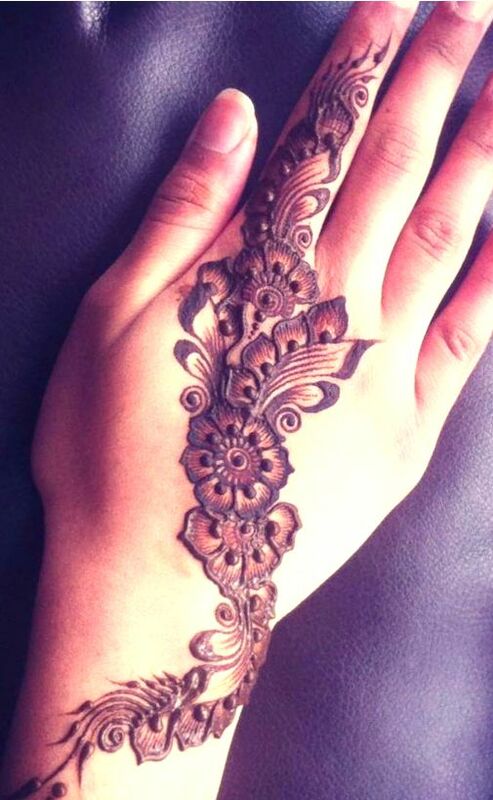 As nature comes out in full bloom, hands are adorned in mehendi. Flowers and women go hand in hand. 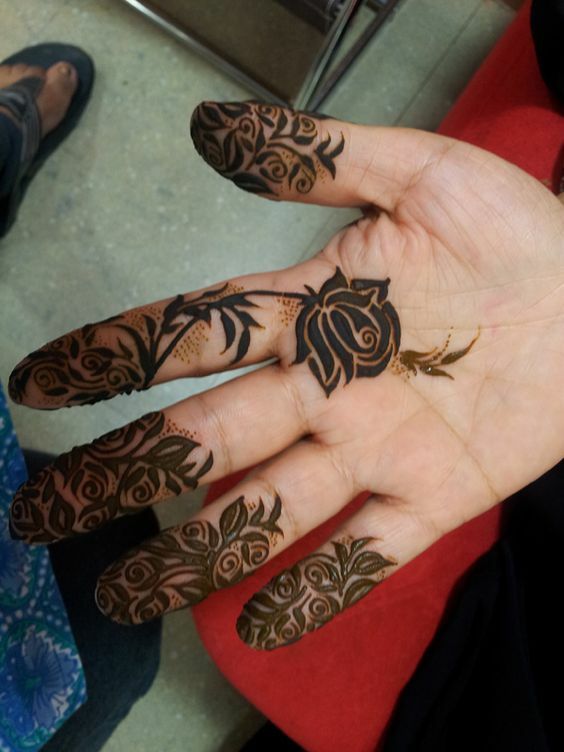 Flowers they say are the reflection of women, beautiful, fragrant, elegant and with a character of their own, so no wonder then floral motifs find such a prominent place in mehendi art. Flowers are also symbols of fertility, joy and happiness. 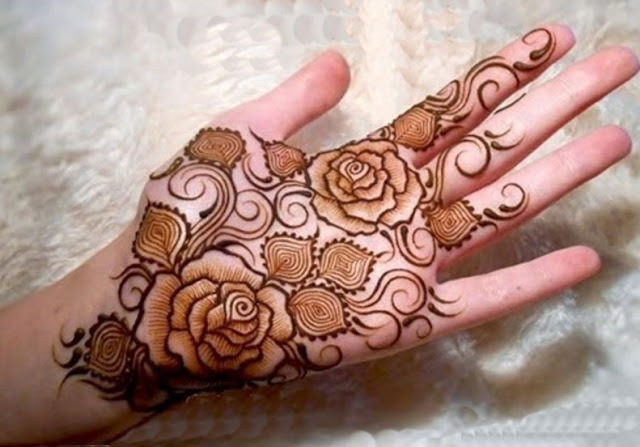 Floral motifs therefore cut across all types of mehendi art – Indian, Pakistani as well as Arabic mehendi designs. Floral patterns are preferred by everyone and are quite in demand. 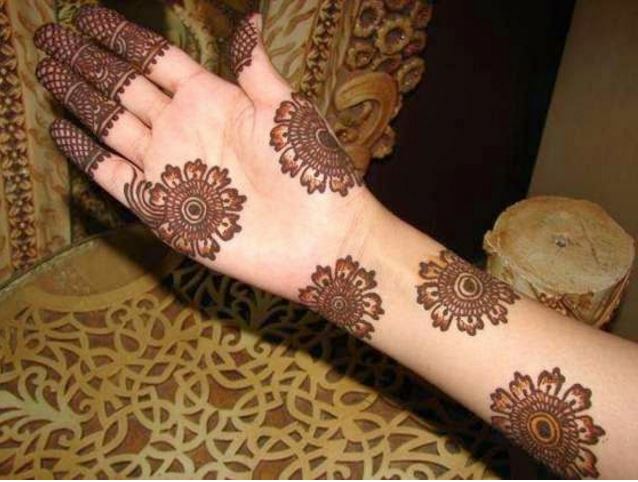 The beauty of these designs lies in its curves and various shadings, as well as colors like in Arabic mehendi. 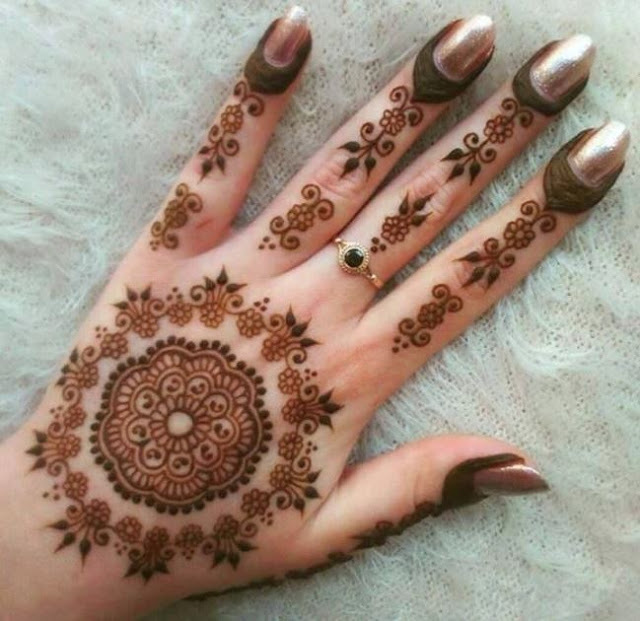 They look attractive and unique for wedding functions or any ceremony. 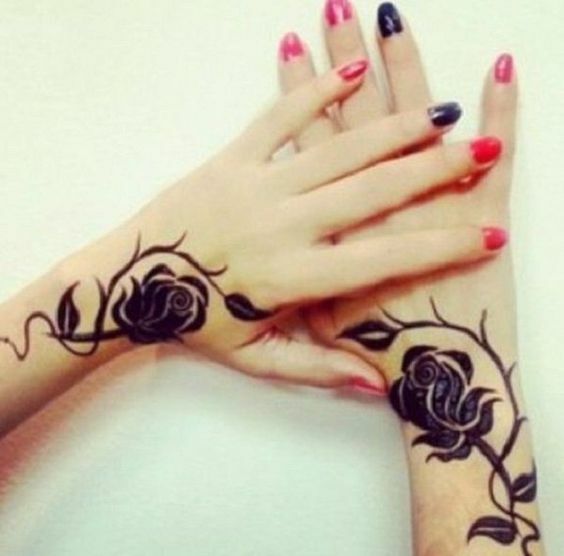 Different flowers on the hand can denote different things. 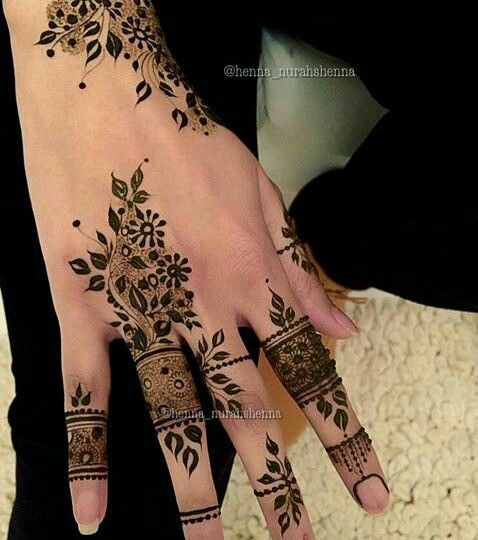 The bud of a flower on the hands of a bride symbolizes growth and a new beginning. Flower designs on a bride also points to the beginning of a new life for her and a symbol that love will grow and flourish in her married life. Rose flowers definitely stand for love. 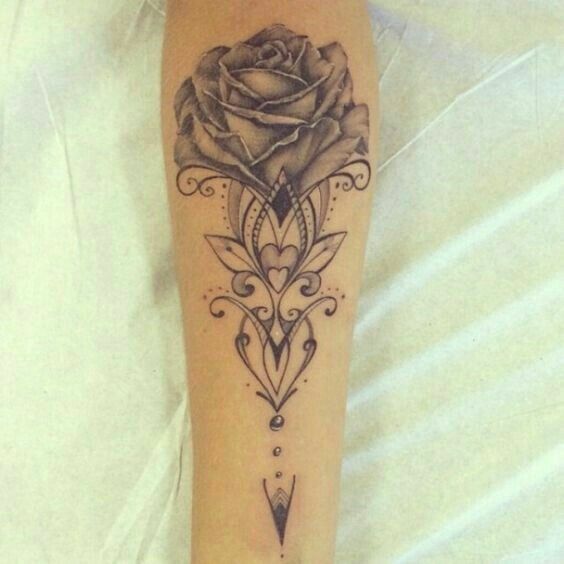 They look extremely pretty as the petal arrangements here give space for shading. Floral patterns with lotus flower stand for sensuality, grace, femininity and purity. A thousand petalled lotus flower stands as a symbol of unity of the soul with God, giving the design a religious significance. An intricate design of flowers, leaves and vines signify devotion and are an essential design element in a wedding ceremony. Floral designs for brides incorporate animals and birds, a bride and groom at times, or peacocks and an elephant. These elements when merged with flowers signify royalty. Though heavily done up, they reflect simplicity and placidness. 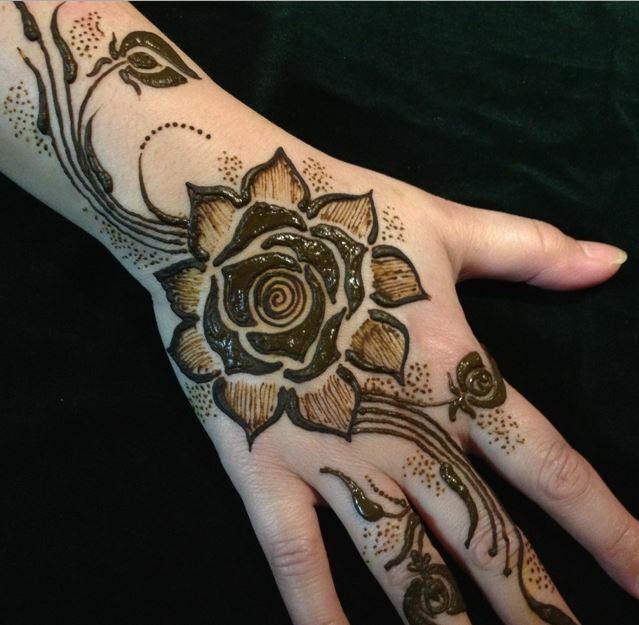 Flowers intertwined with thin and thick lines between gaps with these animal patterns make for unique designs. 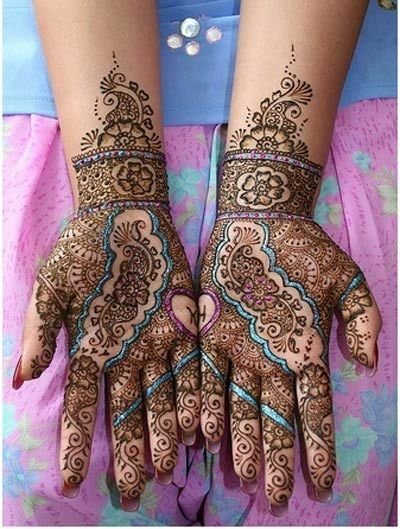 In Pakistani bridal designs, flowers cover the fingers, top of the hands and wrist of the bride. 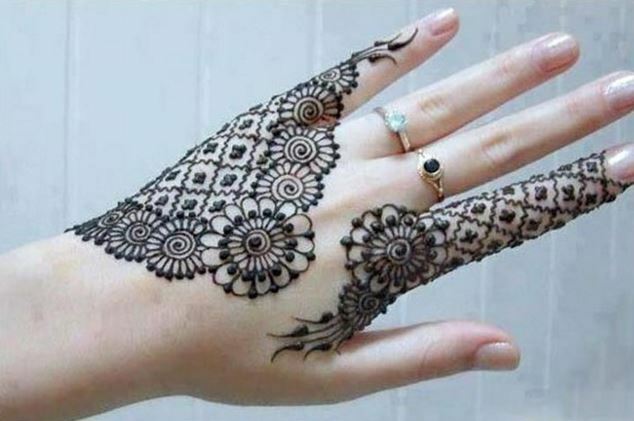 Small little oval dot-shaped circles are balanced with the flowers. The diagonal design running to the tip of the fingers depict the depth of the design. Flowers on their own look just as beautiful. Women who do not prefer very heavy designs usually go for simple and light floral patterns. 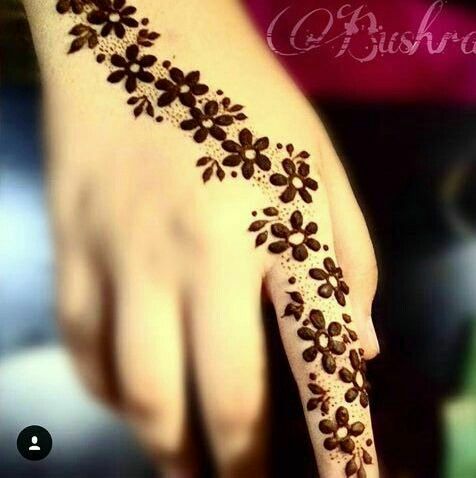 Just finger designs, or a floral pattern on wrist with fingers done, or the floral vines climbing up the fingers from the wrist onwards are quite popular these days. 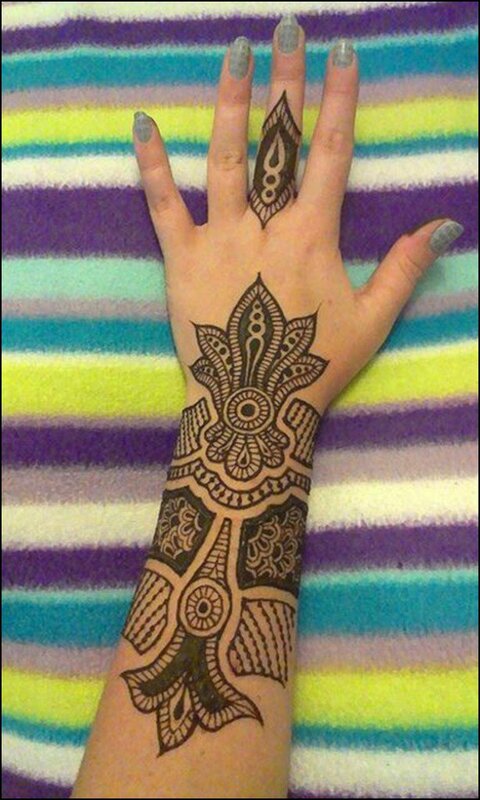 Such designs are normally done for casual occasions or for women who generally enjoy coloring their hands in mehendi. 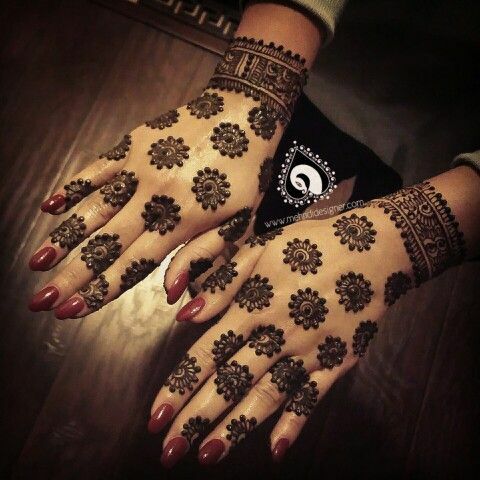 Many designs have a mix of Indian and Arabic, giving the floral pattern a unique look. Many designs when they use color or glitter cover the space between petals, bringing alive the flowers on hand. We bring to you some choicest floral patterns for your hands to be in full bloom this Spring.